What our community says about Ken. I would like to congratulate Ken and his team for an outstanding effort to secure a full licence for the MRI machine at the Midland SJOG Hospital. Ken’s persistence and desire to help the constituents in his electoral division of Hasluck speaks volumes and in the case of the MRI licence it will assist the treatment plans of many West Australians in Midland and the surrounding areas. It was an absolute pleasure to have met Ken and be part of a successful initiative that will bode well now and for the future of many West Australian generations. What Ken has done for all those who use the Midland Hospital is a true testament of his desire and commitment to improve lives within the health care industry. Once again, congratulations Ken. Ken is genuine, approachable and someone that cares about his community. The Perth Observatory Volunteer Group (POVG) would like to thank Ken for his continued and unwavering support of the Perth Observatory. Ken and his team have shown a keen interest in our public education and outreach programs and have supported our attempts to secure funding to enhance the site and provide greater benefit to the wider community. His recognition of the Observatory as having state, national and international significance is a tremendous endorsement for us and we look forward to continuing to work together to develop the Observatory and provide a unique and magical visitor experience for the people of Hasluck and visitors alike. The Volunteers from Veterans Community Health DVA in Forrestfield would like to thank and express our support for our local federal representative, Ken Wyatt, for allowing our group to use his office as a meeting place and a venue for veterans to receive advice and help for their health concerns and to touch base with DVA. The group has been together now 7 years and Ken has been at the forefront with his support for us and veterans over the electorate of Hasluck. Thank you again Ken, you enable us to work for veterans with enthusiasm and diligence. The Swan View Agricultural and Arts Society (Inc) has been sponsored, supported and assisted by Ken Wyatt and his staff with grant applications, grants, photo copying and paper and also physical and meeting support. This has been of great assistance to our society especially at a time when our society looked like becoming redundant. Support by all concerned has helped our society to rejuvenate to a point where at the 2017 Swan View Show we had approximately 5000 community members in attendance. Ken and staff have been of great assistance to the show committee. "We are lucky to have Ken as our local member. He has such a broad knowledge base on a range of topics and has opened our eyes to the possibilities and opportunities available to older Australians and those in Aged Care. He understands the problems facing every day people and he does his best to fix those problems and tries to look after those people in our community that really need help. He makes time for us and has his finger on the pulse and that is something we haven’t had before in Hasluck." "I called on Ken to help me with introductions to a variety of Aboriginal Corporations, so that I could get them to contribute to the operating costs of the Medjugorje Centre’s Moorditj Bus project. Ken did that magnificently, as the ones I approached were very positive and did contribute, because of Ken’s endorsement of the project. Ken has also given me a really well worded letter of support I can use when approaching other possible contributors. 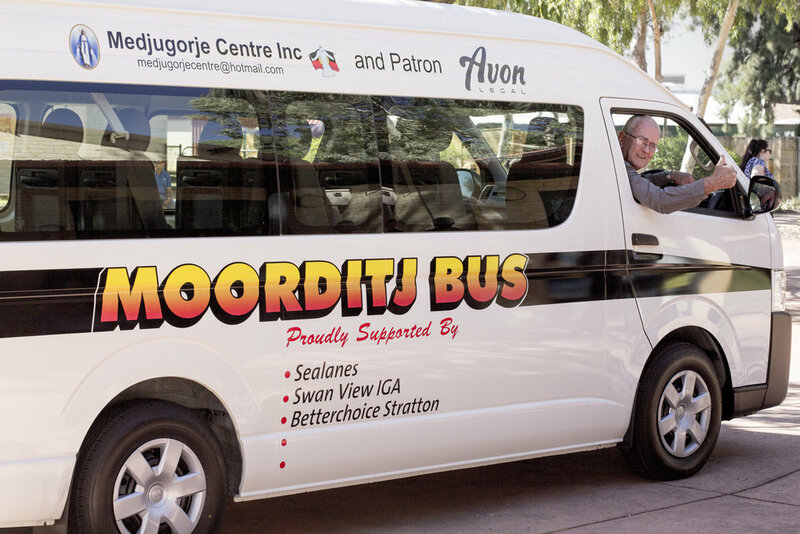 The Moorditj Bus is a very recent procurement by Medjugorje Centre, but is already taking Moorditj Noongar Community College students to take part in basketball competitions at Warwick Stadium after school Fridays. The students love this and could not attend otherwise due lack of transport." "I want to say a personal THANK YOU to Ken and Julie Bishop for making the effort to visit and speak in Mundaring, our near utopian shire in the hills. Both did an excellent job, especially Julie in answering questions. The feedback I gained from other attendees was very positive." "Many thanks and appreciation for all the Hon Minister Ken Wyatt has done for our Church in being proclaimed as a Recognised Denomination. We are so blessed and grateful for all of the support. Thank you again". "Thank you so much for opening the Small Farm Field Day. Sorry about the weather but the day went well. It was so important to have a roof over the café/entertainment area that was supported by funding from the Stronger Communities Program. This saved the day for the entertainment and we are extremely grateful. Thank you for hosting the telecommunications marquee and feedback is that people were happy with the information. Thank you and your support team for coming along and joining in our day." 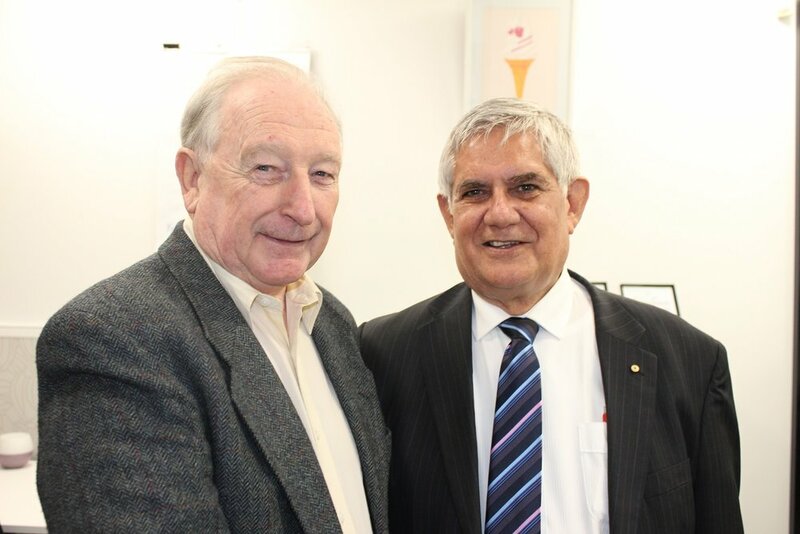 The Gidgegannup Progress Association thanks Ken Wyatt for regularly attending our meetings. He also holds open sessions at the Bakery for residents, to assist them with problems and give advice. Ken has also been fantastic with his support for the community regarding the provision of telecommunications in this area. Ken has been instrumental in helping to secure $10 million in the Federal Budget for a business case for the Eastlink WA Orange Route. He has recognsied the importance of providing essential infastructure for this area, along with communicating with and assisting the Gidegagannup community. Ken has been amazingly helpful in enabling MRI scans for prostate cancer to be included on the Medicare schedule. This will save men a minimum of $400 and will assist in better diagnosis of prostrate cancer. Ken supports Girl Guides in the Hasluck area, from Mundaring, Midland to Kalamunda, Ken provides us with community contacts and has been known to enjoy a Guide biscuit. Last year, Ken celebrated girls receiving their Queens Guide, the peak achievement for Girl Guides under 18, our girls appreciated Ken’s recognition and support, helping to create positive memories for them forever. Through volunteering in Ken's office over the past years, I have learnt just how well Ken serves the community, through his continuous hard-work and complete dedication to achieving for Hasluck. Ken has also been really great with me, accepting me as a school based volunteer and inviting me to many events. Ken has become a mentor of mine and has offered me great opportunities and advice. Swan City Youth Service is a small charity which has been caring for disadvantaged young people in Midland for thirty years. Since January staff have been struggling to care for an influx of young people with severe mental health problems. All normal avenues for extra assistance had been searched without success. 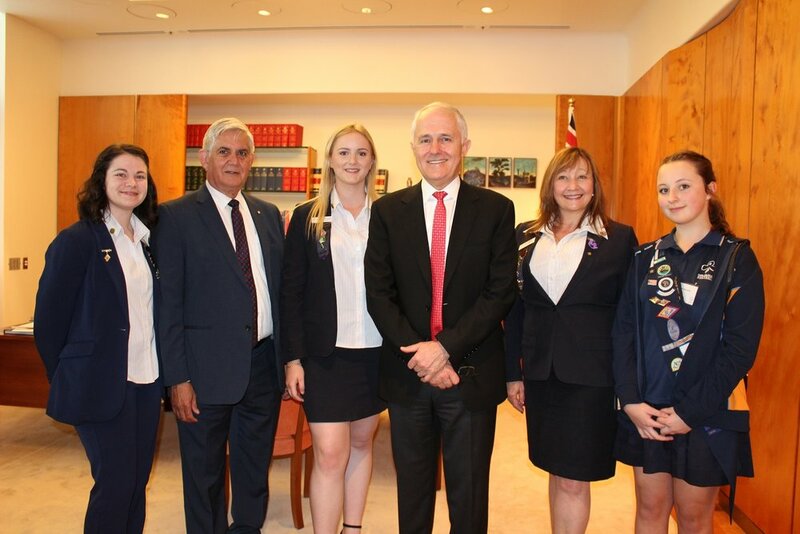 As Ken Wyatt is our local member and our young people are his constituents we approached him for help. He listened very carefully and understood what the problem was. Within a month he and the Federal Minister for Health had visited the service to personally assess the problem. Within three months arrangements have been made for a mental health worker to be seconded to us. A big thank you to Ken for caring about young people who normally have no voice in our society. An even bigger thank you for actually doing something constructive. I want to pass on our sincerest thanks to Ken for his very supportive letter to assist us with our endeavour to gain funds for resurfacing our courts. It was very well worded and I do hope will lend us a very good amount of weight. We do appreciate his taking on our cause and we look forward to his continued support, as we will be giving him ours. I would just like to thank Ken for supporting us in dealing with a local issue. My family, business and I would like to thank Ken for helping us get NBN. When NBN was rolled out in Darlington a year ago, our property just missed out. After several phone calls it became clear that there was very little we could do. I contacted Ken and explained the situation, he listened and said he would try to help. Shortly afterwards the state manager of NBN was on the phone and it all happened pretty quickly after that. As a business, fast, reliable internet is our life-blood, and with a growing family of three boys, having NBN really helps with studies, homework and our family social time. Thanks again Ken, we really appreciate the help. I rang the office and said “I know you probably cant help, but I just need someone to listen to me.” Not only did they listen, but Ken’s office solved my issue with Centrelink in receiving the aged pension. For weeks I had boulders put in my way to get my pension approved, and like a road-grader, Linda from Ken’s office just swept it all away within 48 hours. Having met Ken on various occasions, I felt very confident that I could call his office and that he and his team would listen and be pro-active about my problem. Ken is a very approachable person, and I knew that his team would be a reflection of Ken. Hence I had no hesitation in coming to him in my hour of need. The Mundaring Arts Centre would like to thank Ken Wyatt and his team for their ongoing support of arts and culture in the region. Ken is an outstanding advocate and he has undertaken numerous community consultation sessions at the Mundaring and Midland Junction Arts Centre’s to ensure he is in touch with the views and needs of his community. Ken greatly assisted the Mundaring Arts Centre installing solar voltaic panels as part of the Solar Communities Program. This program has meant significant cost reduction to the centre and reinforces the importance of renewable energy generation. Thanks Ken for your help and understanding with the problem I brought to you. All the best for a very successful future. We sincerely thank Ken and his team for their heartfelt compassion for the young people we work with. Acknowledging the challenges we had been facing as a service and his desire to make a difference in his community, by facilitating the much needed funding for essential Mental Health, Alcohol and Other Drug Workers for 2019 is more than we could have imagined. It is the first time ever we have seen a local federal member visit our brigade, show interest in us and put himself out to attend our meetings. He wasn't just after votes, he was all action. Thanks to him we have a new mobile phone tower, we have boosters for our fire fighting vehicles totally eliminating the black spots which improves communications in Gidgegannup and makes it safer for our entire community. He also put us in touch with commonwealth grants which is one of the only ways we can raise money. Ken is a person who cares and can relate to his community. Ken is always welcome to join us up at the brigade. Ken was gracious enough to lend his campaign bus "Wyatt on Wheels" to drive our team and supporters to our amateur seniors grand final last season. Travelling together as a team really helped the cohesion and promote the great inclusive culture we have at the Rhinos family. Unfortunately the boys didn't bring home the silver wear however we are all very proud of how they represented the club and the season of excitement they brought for us. We are looking forward to building on the success of last year and am sure Ken and his team will be right behind us. Go the Mighty Rhinos!! Our sincere and very grateful thanks to Ken and his staff for their prompt and effective help with NDIA issues. We had reached a complete dead end after many months of obstacles but within 24 hours of reaching out to Ken his office had responded, and within a week the issue was completely resolved. With your help we now have access to the services and supports we desperately need. We had two damaged phone junction boxes in the verge at the bottom of our property. We made several approaches to Telstra who refused to repair the infrastructure. As a last resort I approached Ken Wyatt's office and they made submissions on our behalf. We now have two new junction boxes and our phone cabling is no longer exposed to the elements. If it hadn't been for Ken Wyatt’s efforts we would have third world cabling which I feel would have jeopardised the integrity of our NBN connection. On behalf of the Iranian Community of Western Australia, I would like to express my gratitude and appreciation to you and to Mrs Wyatt, for taking time from your busy schedule to attend our Persian New Year Celebration. Your presence was valuable to us and made our event more joyful and memorable. We hope you had enjoyed the event and we look forward to seeing you again soon. Once again, I sincerely thank you for celebrating the Persian New Year with us.